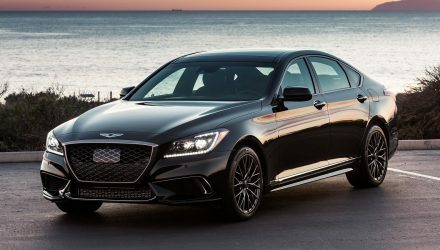 There’s a sophisticated new look for the 2020 Genesis G90, which has just been unveiled in South Korea. 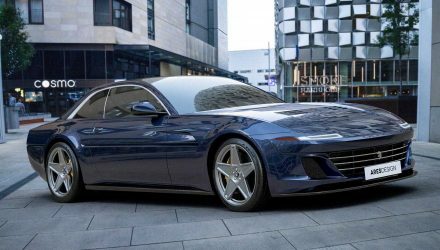 It adopts a brand new front end and an almost Rolls-Royce-like rear. You’ll immediately notice the new-look front, with the inverted grille and diamond mesh in the middle, as well as fresh LED headlights with a strike-through daytime running light. Being the flagship model (not currently sold in Australia), this face could inspire the front end designs of the future G80 and even G70. 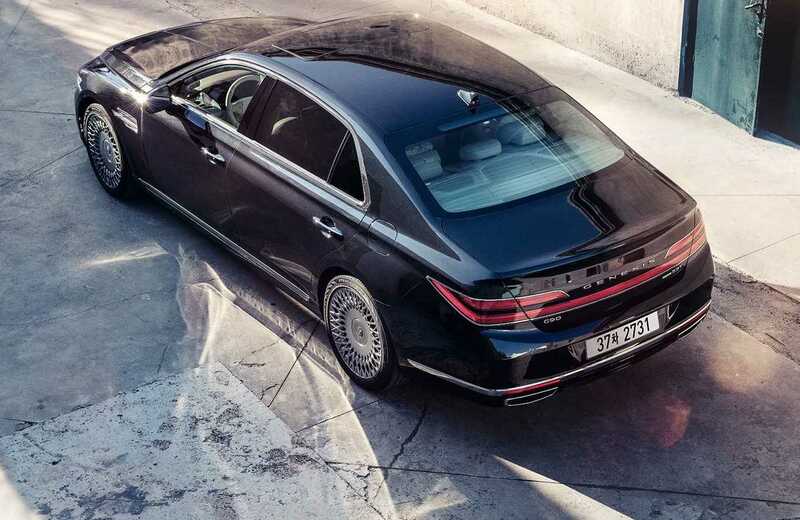 Around at the back you’ll see Genesis is jumping on board the full-width taillight design fashion. The lights wrap right around to the rear guards, with an elegant chrome strip that skirts around the lower edge of the bumper bar. There’s also a discreet lip spoiler integrated into the boot lid design. 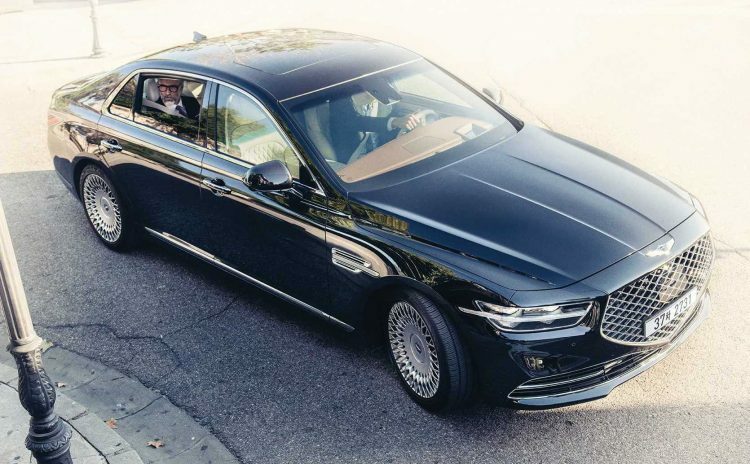 Inside, the 2020 Genesis G90 interior looks pretty much the same as the outgoing model. This is a bit of a shame considering the smart exterior design that has been applied. 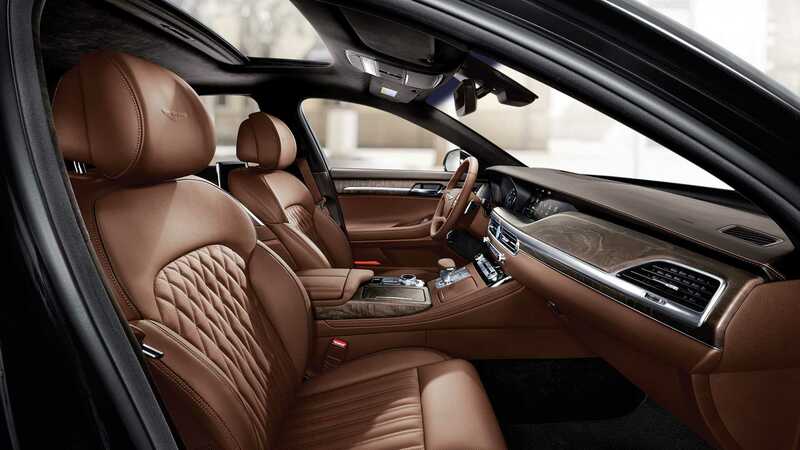 Most surfaces are covered in what looks to be super soft leather, with diamond-stitching for the seats, while the dash retains its upright, no-nonsene profile with a touch-screen media interface up top. It does look like some finer materials have been incorporated, such as open-pore wood veneers. No major changes are mentioned for the under-bonnet hardware. This means the existing 3.8-litre naturally aspirated V6 producing 232kW likely resides. There’s also a 5.0-litre naturally aspirated V8 option producing 304kW, and a 3.3-litre twin-turbo V6 developing 272kW. 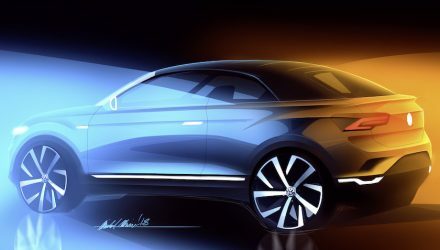 The full specifications are yet to be announced, but we’d anticipate some new technologies coming in such as autonomous-like driving capabilities, increased in-car connectivity, and fine-tuned head-up display and instrument cluster.